Paragraphs Bookstore continues a tradition of a downtown bookstore that began in Mount Vernon in the nineteenth century. 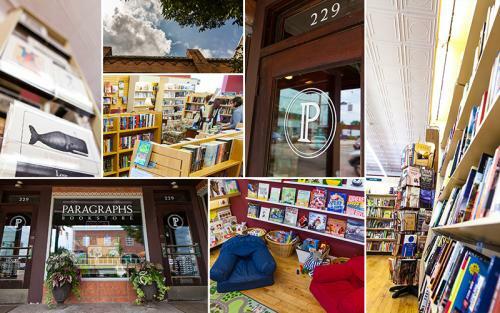 In a time of big-box stores and e-readers, Paragraphs is an independent, neighborhood bookstore, a place with real books, real people, and real conversations, and a reminder that the turning of a page will always take us where we wish to go. Located at 229 S. Main Street, Mount Vernon, Ohio, Paragraphs is thrilled to offer a much expanded instore book selection, as well as online sales, Kobo eBooks, and WiFi. I taught language arts and social studies for thirty years. In 2003, I began working at Paragraphs Bookstore where I follow my love of reading non-fiction, fantasy, historical and young-adult fiction.